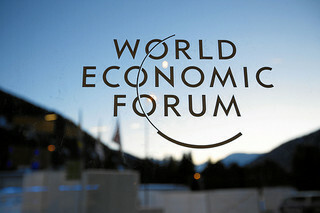 The World Economic Forum released their 8th Annual Global Risks report this week. Testing Economic and Environmental Resilience: We continue to push our economic systems and the environment to its limits. A simultaneous shock to both could create the perfect storm and overwhelm both. Digital Wildfires in a Hyperconnected World: The rapid and widespread dissemination of misinformation could result in a global panic - the dark side of the rapid growth of social media and the democratisation of mass communications. The Dangers of Hubris on Human Health: Recent advances in healthcare may have lulled us into a false sense of security, even as we approach the limits of our existing approaches to combating ever mutating threats. How much attention you should pay to global threats of this nature depends on what kind of organisation you are. Clearly, if you're a global bank, insurer or health care concern, these should be near the top of your agenda. However, if you're a corner fish and chip shop, there is probably not much you can do about these issues and so there is not point in wasting too much time worrying about them. For most of us, the challenge is working out where we fit between those two extremes.